With Dodge putting out Hemi V8 engines ranging from mild to wild levels of horsepower, it is somewhat odd (in a good way) to come across a Chevy LS swapped Dodge truck. The amount of LS swapped cars and trucks advertised across the internet these days is truly staggering. There is seemingly not a car out there that hasn't been swapped with a variant of this engine. 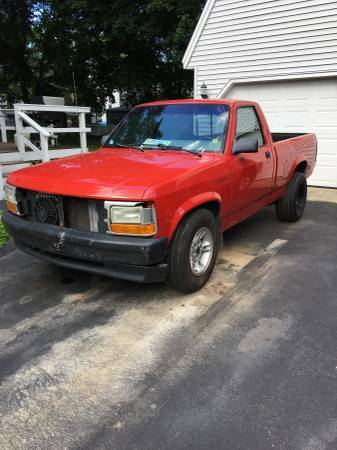 Find this 1996 Dodge Dakota for sale in West Bridgewater, MA for $4,000 via craigslist. 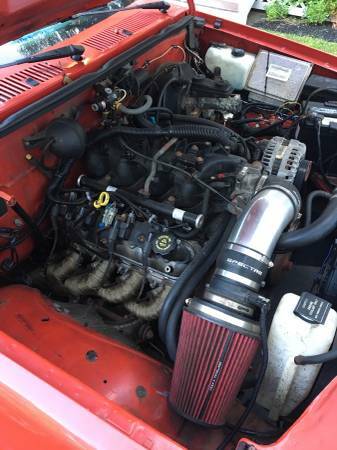 The seller bought the car off a friend who was the one who did the engine swap. It is claimed to be well done and says this is a turnkey reliable truck. The engine is a 2007 LQ4 6.0 which should be good for at least 325 hp mated to a GM 4L80 automatic transmission. The swap has a custom wiring harness, Aeromotive a1000 fuel pump, long tube headers, Borla mufflers, ECU tune, and custom intake. The stock Dakota rear end has somewhat surprisingly held up fine for almost two years now. The seller doesn't make any mention of the missing grille and headlight trims. Cory is going to be picking up his 1995 Mercedes C36 from the Dent Eraser PDR guy today. I don't have a BMW mountain shed to trade however I wish i did. Sounds modern and expensive. 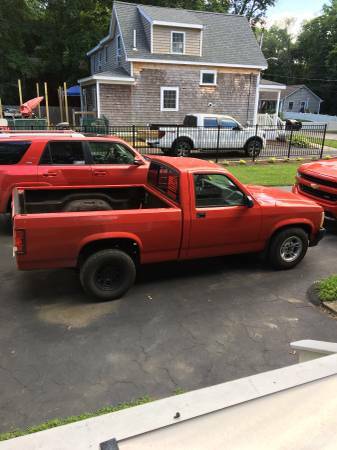 This truck would be a great way to get into drag racing for cheap. I just wish the guy would have put on a new grill. They are under $70 and would make the truck look less junky.